For the launch of the new gallery building in London, designed by Herzog and de Meuron a new form of engaging school children and general public with contemporary architecture was introduced. Through creating hands-on exercise, the dichotomy between architecture, art and design as well as between the concrete space to the imaginary one were blended. Torriano Primary School in London was the first to join the experience in a workshop with artists Albert Potrony and designer Noa Haim. 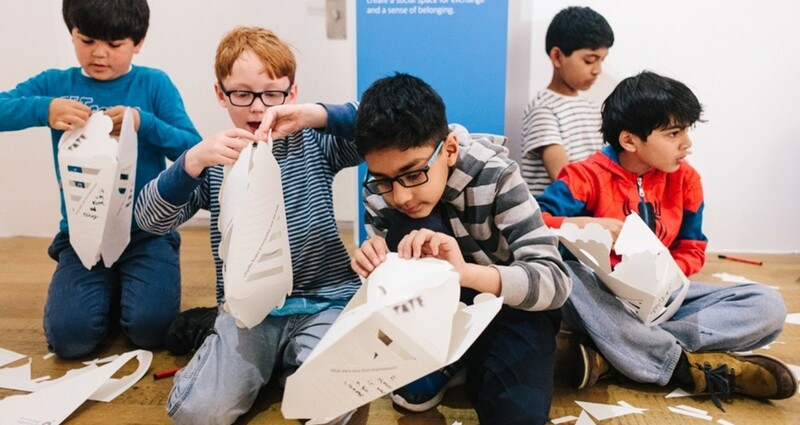 The group of year 4 children put their dexterity and spatial perception to form the basis of a larger collective structure that the public were invited to add to during the New Tate Modern launch programme and will continue to grow as part of Tate Exchange. Visitors during the opening weekend dropped in to the McAulay Gallery to create their own replica of the new Switch House. 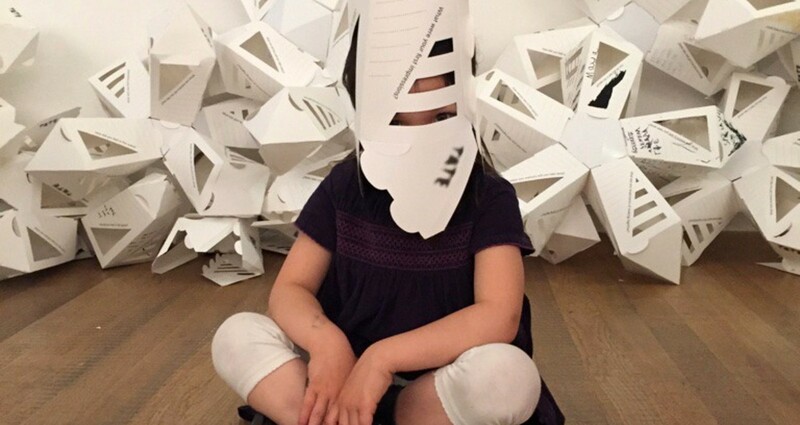 After putting together the individual paper model visitors could take it with them for a walk in the building, leave their impressions by writing or drawing on the model and/or add it to a growing imaginary landscape structure. 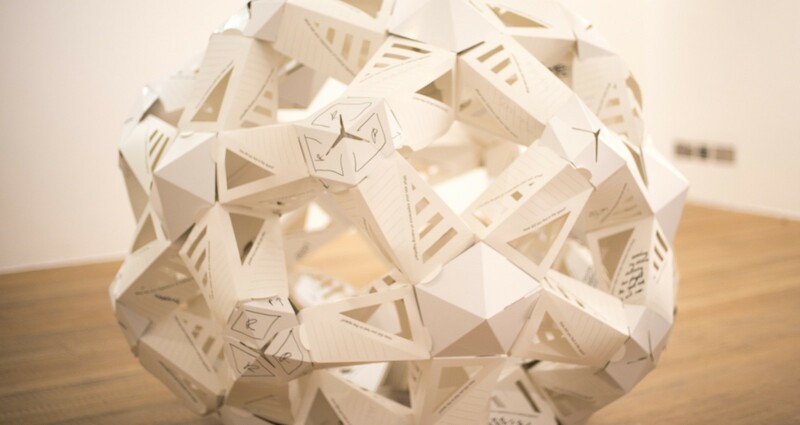 A system of cardboard connectors was designed to support connecting the individual paper models. 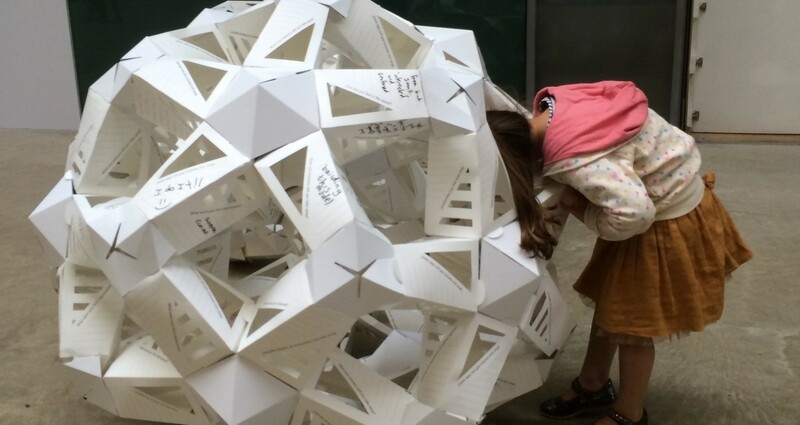 Participants could choose between three different classical polyhedral prisms: Tetrahedron, Octahedron and Pentagon to connect one twisted pyramid model with another. The variety of connectors was permitting the creation of dissimilar landscape configurations in the gallery space. Though, the exercise was challenging in terms of manual dexterity and 3D perception the space was crowded with public in all ages. Some people made one model and leave while some families spend more than an hour inside the room. The (never) final outcome revealed an endless tower, spheres, stars, domes, crosses and sun flowers which populated the gallery space until July 14th. 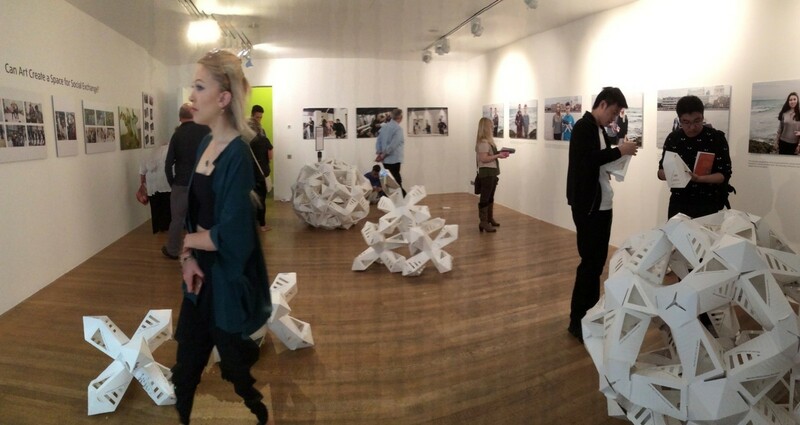 BP Art Exchange team, Albert Potrony, Noa Haim and Students from Central Saint Martins and University of Westminster, London were guiding the visitors during the opening weekend. 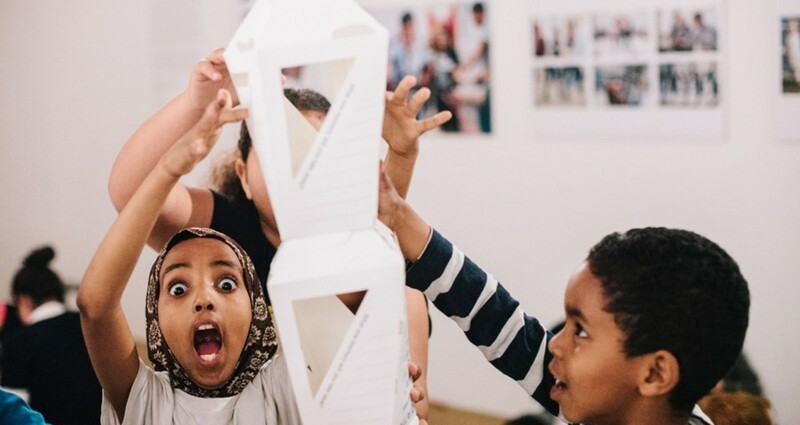 This collaborative making process provides a window into some of the working practices used by artists working with students, refugees and communities in the associated display ‘Belonging Together’ as part of Tate’s International learning project BP Art Exchange. Engaging school children and general public with subjects in contemporary architecture form and thinking.